The first time I saw a woman wearing a really interesting design on her fingernails I was blown away. I think they were a purple leopard skin print with lime green tips. All I had ever seen before were traditional solid color manicures, and now I completely love it when I see someone wearing extra funky nails. 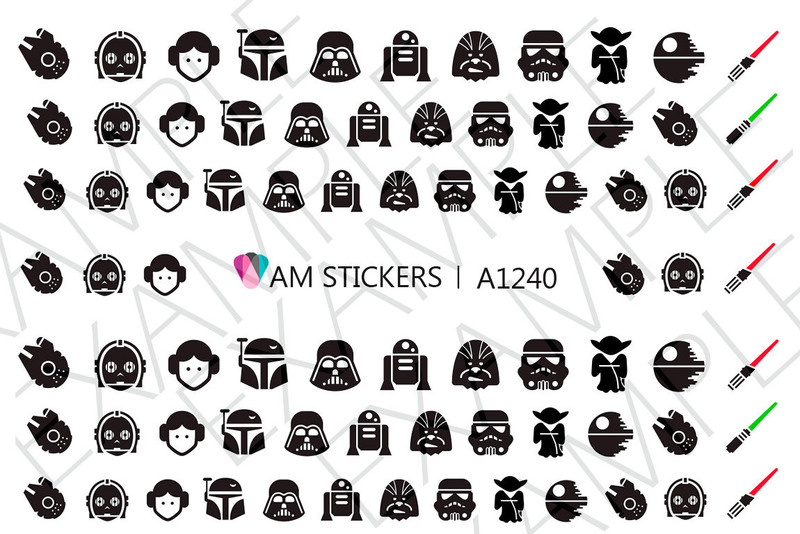 Etsy artist AMstickers has taken that concept and added a pop culture element. 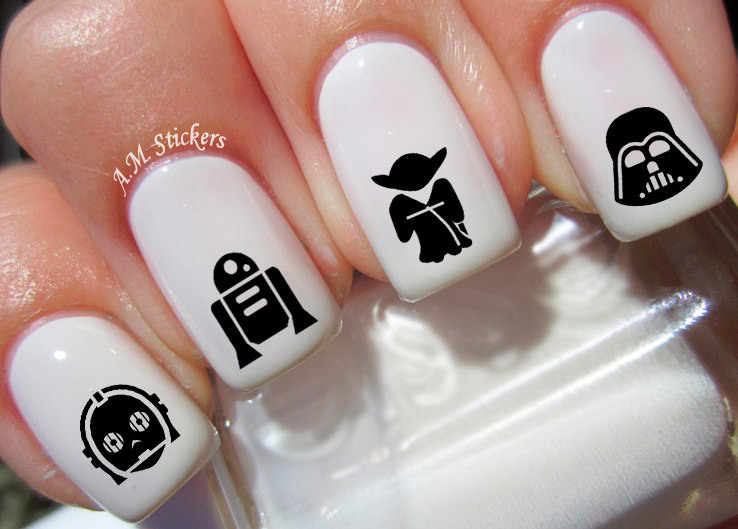 In her online shop you can buy a set of 78 Star Wars themed nail decals for only $3.99. 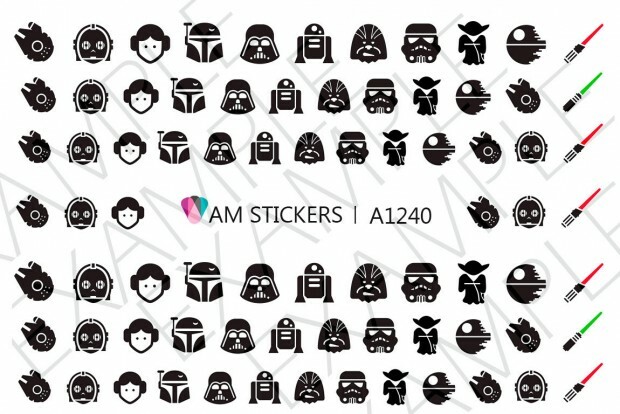 The set features simple yet boldly designed representations of characters including Princess Leia, Chewie, Darth Vader and Yoda. You can also buy similar sets devoted to the Minions, Spiderman, Superman and Wonder Woman, among many others. They’re gloriously fun and would make an awesome gift for any fan of those franchises. The artist advises that you put the decals over a white base color so that the Star Wars characters really “pop” and that you add a new top coat regularly. AMstickers has 22 five-star reviews, with comments ranging from “easy to put on” to “Soooooooo cute.” Agreed.